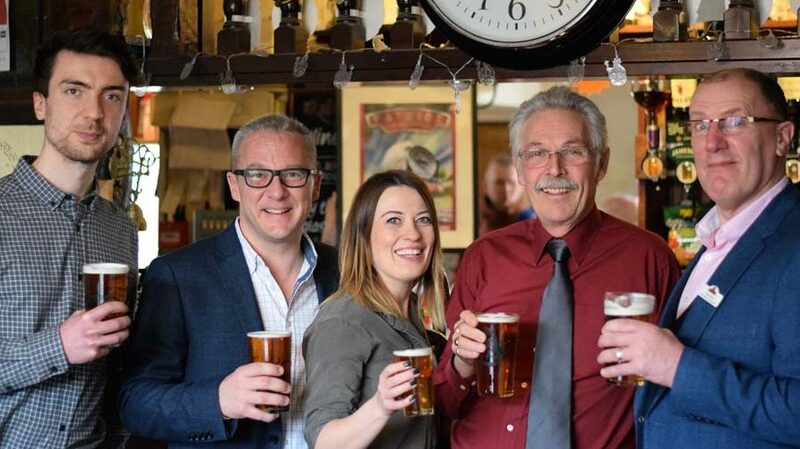 Everards has delved into Leicestershire’s rich history to come up with its latest seasonal beer, ‘Patriot’. ‘Patriot’ – available in many Everards pubs this March – is a 4.3% golden hoppy ale with citrus and grapefruit flavours and a crisp, bitter finish. The new beer supports The LMS Patriot Project in its attempt to build a new ‘Patriot’ class steam locomotive, named The Unknown Warrior. After seeing the article, Everards got in touch with Peter and Andy from the LMS Patriot Project, who told them all about their idea to build The Unknown Warrior to create a lasting memorial for the British public. 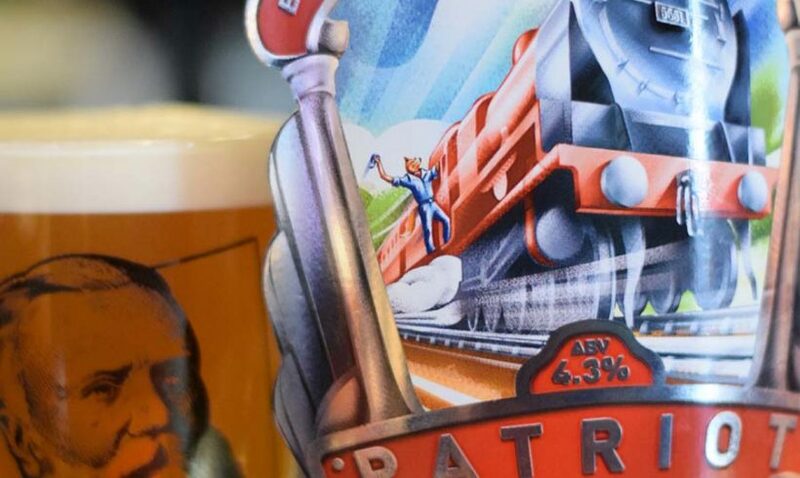 Everards liked the idea and brewed ‘Patriot’ to support and raise awareness of the project. The LMS Patriot Project team with Claire Cannell of Everards (centre). The beer will be available in many Everards pubs this March as well as at Leicester CAMRA Beer Festival.